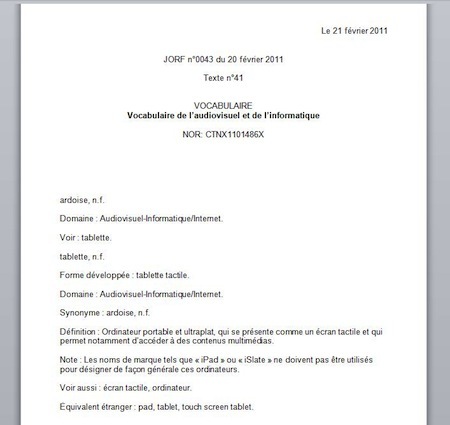 Further to our post last October about recent words in French, last week in France the "Commission Générale de Terminologie et de Néologie" decreed that the words tablet, pad, slate should not be used to designate tactile tablets - what at this point are essentially Apple's iPhone and iPad - henceforth one must say ardoise (slate)! 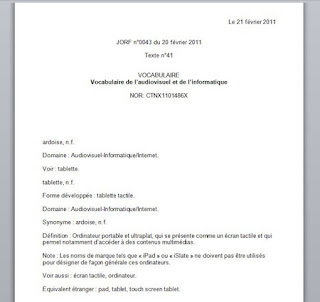 Une ardoise is an "Ordinateur portable et ultraplat, qui se présente comme un écran tactile et qui permet notamment d’accéder à des contenus multimédias" (portable and ultra flat computer which presents itself as a tactile screen and which notably permits access to multimedia content). It seems unlikely that the decree will be heeded much, although government employees including state owned TV and radio are expected to do so. The word ordinateur (often abbreviated as ordi) is one word the French language police manage to slip in place of "computer" back in the 1960s. Other alternatives include logiciel for software, informatique for IT and télécharger for download. 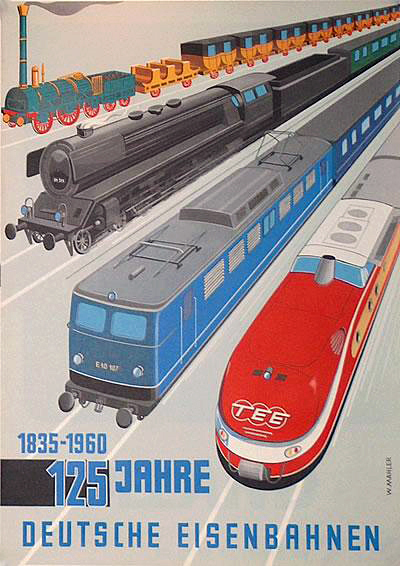 A West German poster from 1960 marking 125 years of railways in Germany since 1835. Last year, of course, was the 175th anniversary. 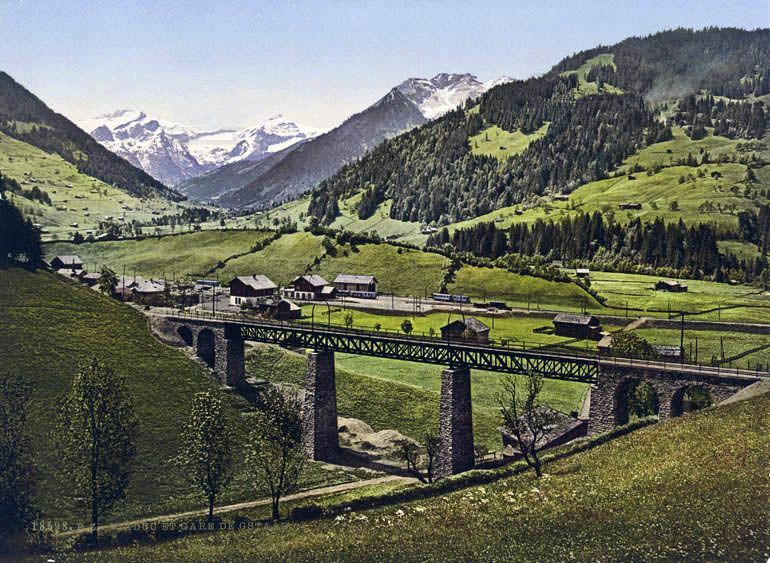 The illustration shows from left: Der Adler, a mainline steam locomotive, perhaps an 03, a class E10 electric locomotive from the 1950s and a class 601 TEE diesel multiple unit from 1957. 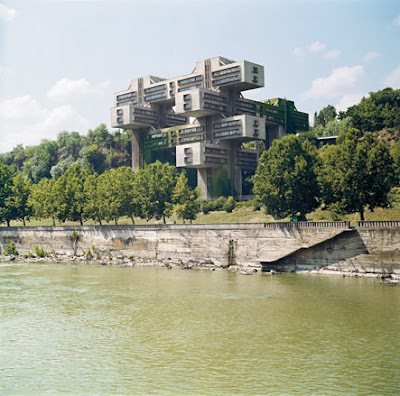 The UFO restaurant atop the Novy Most bridge in Bratislava was part of a space exploration theme to be found throughout the eastern bloc. 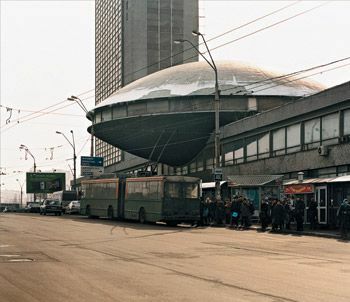 Whereas in America it was found in Detroit's car styling of the late 1950s and early 1960s, in the Soviet Union it was to be found in architecture. Although most communist buildings were built cheaply with little imagination in their design, there were exceptions. A new colour coffee-table book from Taschen - Cosmic Communist Creations Photographed - presents quite a few of the cosmos-themed buildings of the countries that comprised the former Soviet Union which could easily have come from the set of a Star Trek movie. Not all of them could be described as beautiful or even appealing, but they were certainly different. As usual with Taschen books the level of illustration and layout is lavish, and the page dimensions in this case extra large. 288 pages, hardcover. Pressburg is still the German name for Bratislava, since 1993 the largest city and capital of the independent Slovakia with a population of about 431,000. 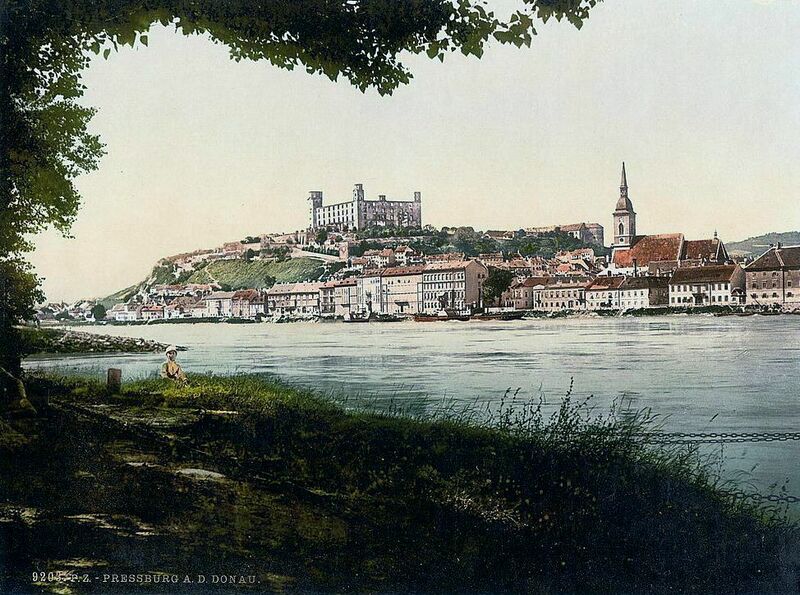 Like the much larger Budapest and Vienna it lies on the Danube River. The Austrian border is only a few km distant and Vienna is not far away - only about 70 km. Passengers who fly to and from the city often use the Vienna airport as the local airport is small. 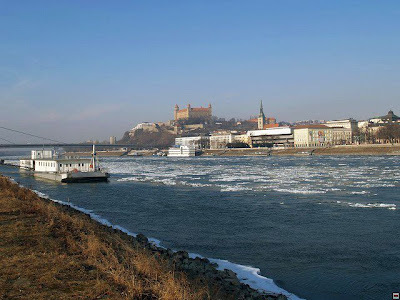 The removals from the scene from about 1900 are buildings bombed during WW2 and replaced or just not replaced, while the main addition is the Novy Most or new bridge from 1972 which has a UFO restaurant on its southern towers (to the left and out of sight in the Martin Tasky photo showing an icy Danube). 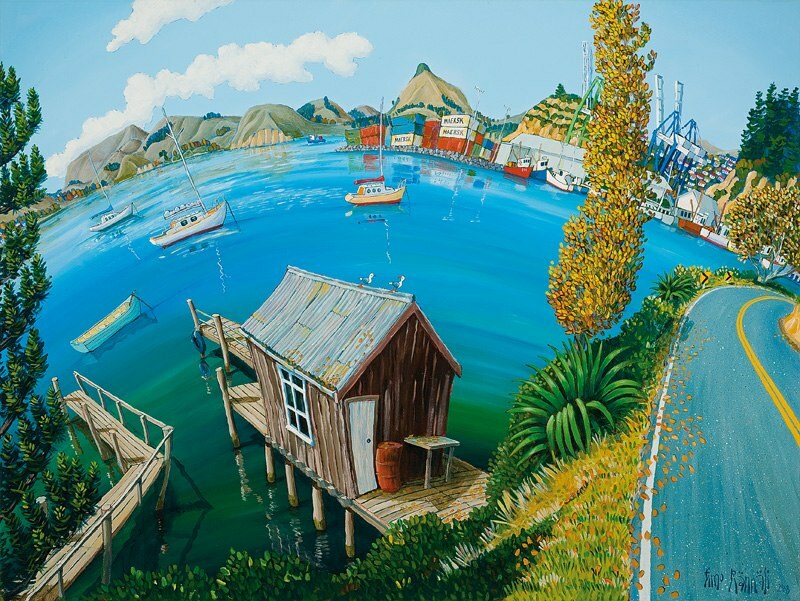 Timo Rännäli is a NZ based artist who paints in a very distinctive "fish-eye lens" style, and we have a couple of examples of his transport themed works on our office wall. 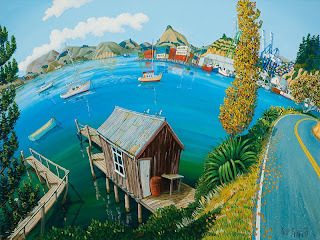 The above examples are "Riverton", a fishing boat port in the southwest of Southland and "Port Chalmers", which as those who have our book New Zealand Maritime Images know, is the main port of Dunedin and Otago. 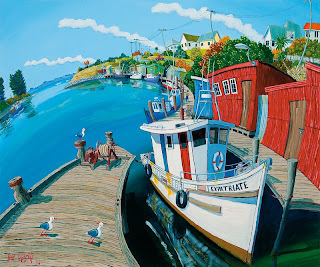 More examples of his paintings are on his website. 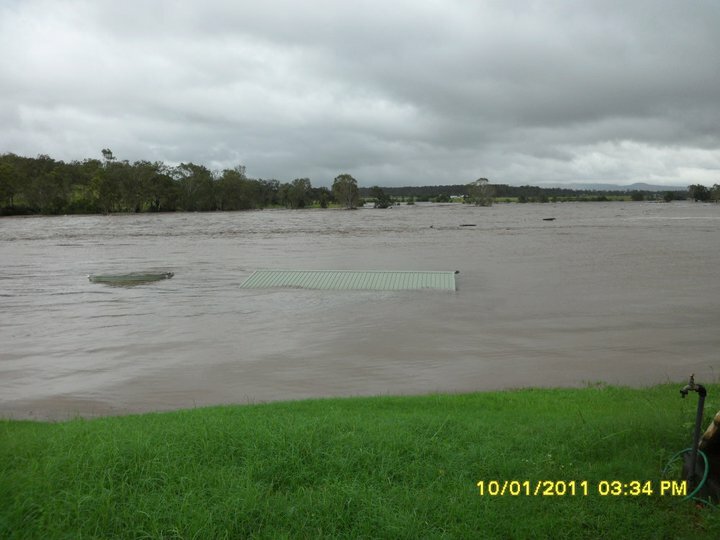 This hit at 12:51 pm on 22 February: as captured by a tourist. The latest death toll is nearly 130 with over 200 still missing including tourists from over 20 countries. My guess is that the final toll may not be known for a long time yet as there is such a huge amount of debris to be shifted. They say now that over 30% of buildings in Christchurch have been destroyed. 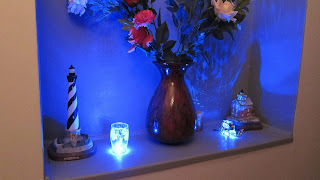 There is a huge effort being made now to relocate people to be billeted out around NZ & many even taking advantage of cheap flights & going to Oz & other places to stay until the utilities here are sorted. Many, of course, have no homes to go back to. The population of Christchurch was over 300,000 but not anymore. It’s going to take many years for the city to rebuild to the level it was pre-quake I fear. We are all ok out here in Rangiora and it’s unbelievable that so much damage is only 25 km from here. 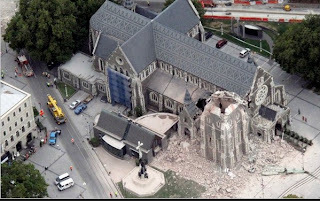 We have all lost people we know and in my case several people who were killed in the CTV building used to work for me when I had Vidpro in Christchurch. My old company building wasn’t affected too much and the present owner told me that they were able to get cameras & gear out before the whole area was closed off. So Vidpro (still called that) is now helping TVNZ cover the earthquake story. Unfortunately Sarah’s son Aaron lost his home and he is getting married at Easter so a big blow there. Last Tuesday's events have cast a pall over us too, and it's hard to concentrate on normal matters. The jokes that Canterbury people made last September about rock and roll city are absent this time. Our thoughts go to all those in the region who have suffered injury and loss. The opening of the new station together with the electrification from Paraparaumu occurred last Saturday, so here is a photo of how the station looked in 1947, with the overnight express to Auckland crossing a passenger train from Wanganui. This J.W. 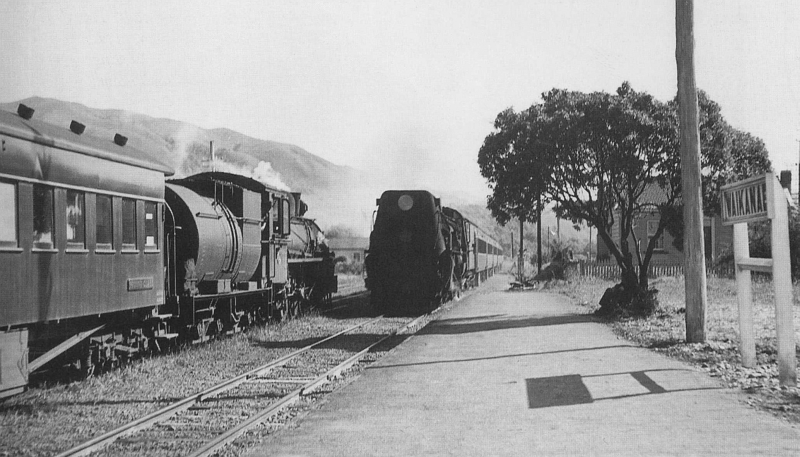 Sutherland photo was in the book New Zealand Railway Memories which is now out of print, but the book Wellington Transport Memories - which has a photo taken in the same location in 1910 - is still available. These four photos show how quickly the flood happened on a farm at Helidon, Queensland, on Monday 10 January 2011. There had never been water on this cultivation before. 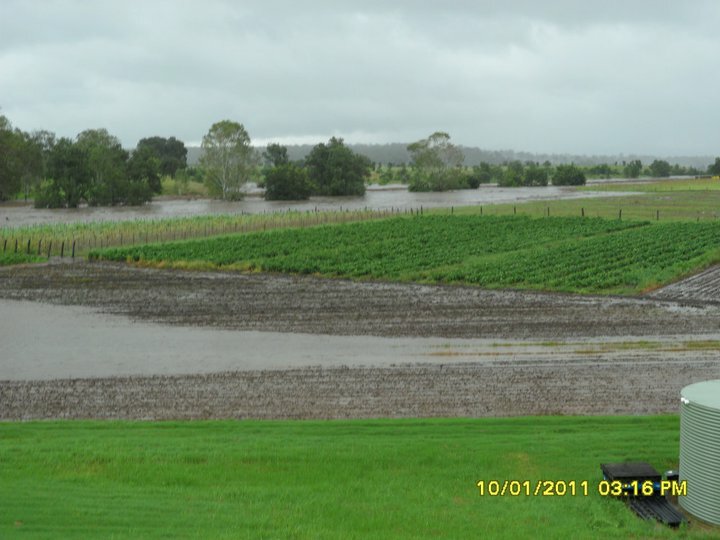 Lockyer Creek runs behind the cultivation. The timestamps on the photos say it all. 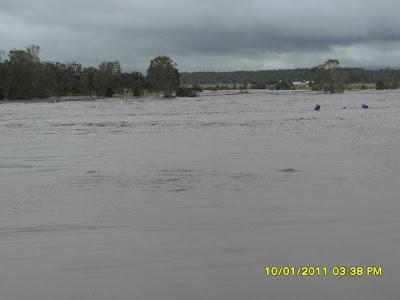 The farm is upstream from Grantham which got the full force of this creek, and another creek (Flagstone Creek) which flows into it just before Grantham. Last year Trains magazine (USA) produced a book on its pick on the 100 greatest general audience movies based around trains. 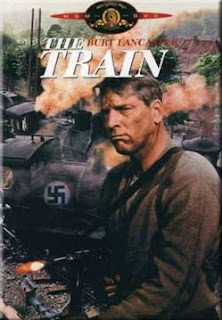 The list with comments is reproduced on this railway-DVD US website, which also sells most of them (note they will be in NTSC format, requiring a multi-format DVD player if you live in a PAL format country). They include some not included in Trains's list. ...And there are more again. 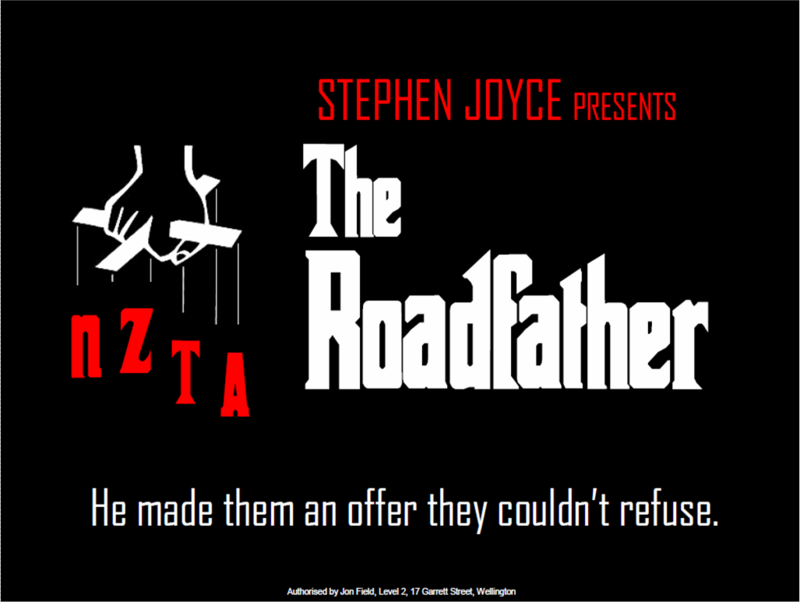 We will produce a supplementary list of our own soon. 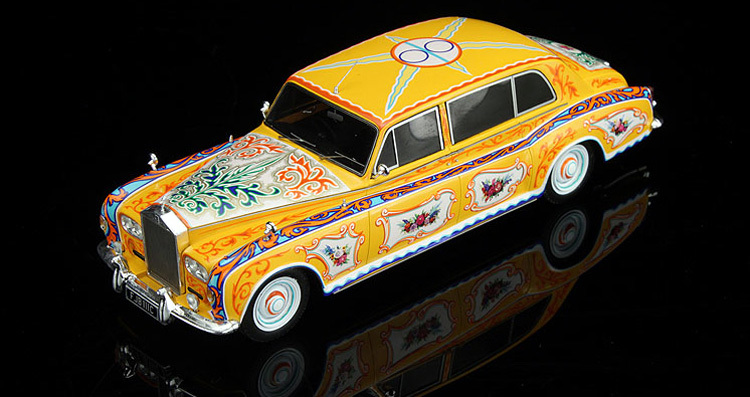 For those into Rolls Royce history, or pop history, a 1:43 scale model of John Lennon's 1965 Rolls Royce Phantom V model is now available. The Beatles used it exclusively from 1966 to 1969. Originally delivered in normal black in 1965, John Lennon had it customized with a double bed in the back seat and added other features unheard of in the day, like a telephone! The livery of the Roller was transformed into a psychedelic "flower wagon" in 1967. In 1970 John Lennon and Yoko Ono had the Phantom V shipped to the US. 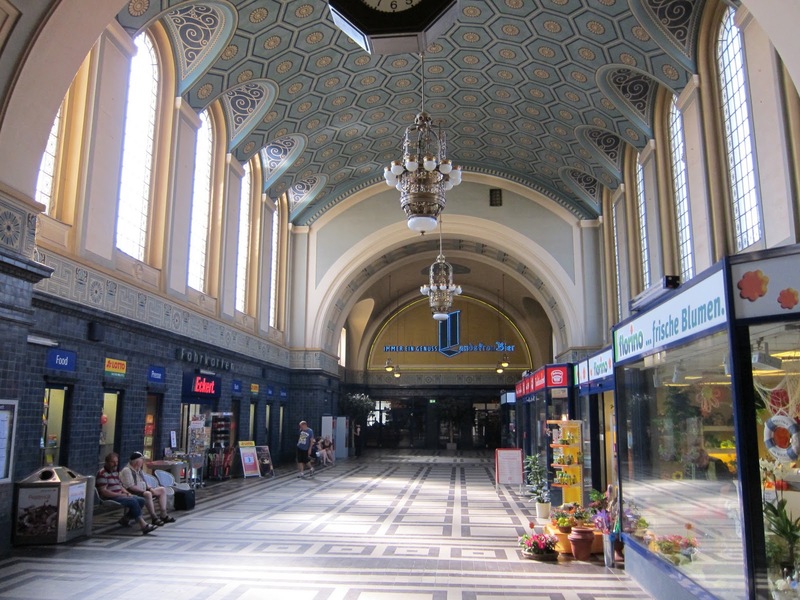 It was loaned to several rock stars including the Rolling Stones, Moody Blues, and Bob Dylan. When Lennon got into tax problems in 1977, it ended up in the Smithsonian and then auctioned for over $2 million to Ripley's "Believe It Or Not" Museum. 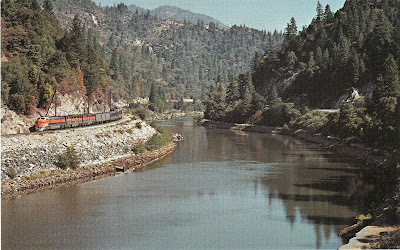 The famous Feather River Route was constructed between 1906 and 1909, connecting the cities of Oakland, California, and Salt Lake City, Utah. 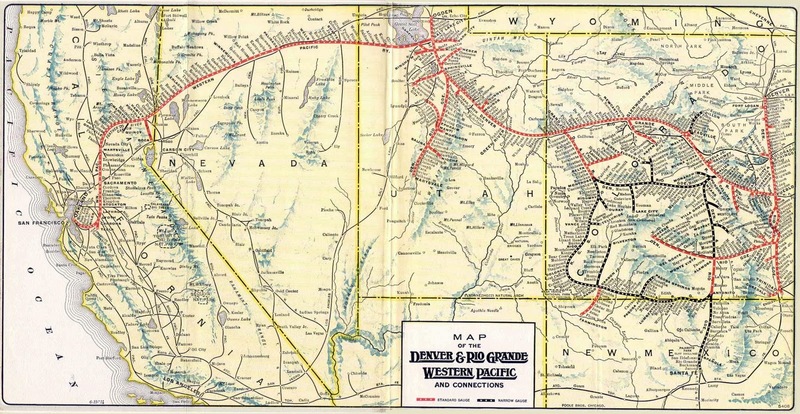 The Western Pacific RR was bought in 1983 by the Union Pacific. 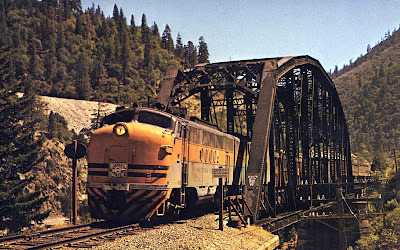 This pic from the PTA Transit Authority blog (a companion blog to Viewliner) shows a westbound EMD FT diesel, No. 906-A, crossing the North Fork of the Feather River, another 45 miles (73 km) of canyon to go. 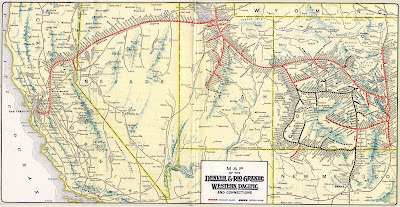 The map below shows the Western Pacific system in 1930 - the Feather River is in California, near Nevada..
"Whenever a business goes broke, the first questions to be asked should be of the management and the owners, not of the government. 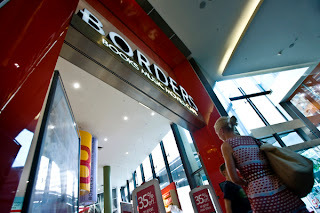 Borders / A&R in its REDgroup incarnation was a very badly run business, for which the owners, Pacific Equity Partners, a private-equity group, are responsible. "As I see it, PEP deliberately created a brutalist regime: they installed bovver-boy managers who alienated all their inherited knowledgeable staff (who left), made appalling decisions about stock selection and presentation, and tried to treat books like potatoes. They were focused on fluffing up the business so it could be floated, so all they seemed to care about was inventory control and their cash position. As they tormented their suppliers who understood their business better than they did things started to go badly wrong. The group kept refusing to listen to well-informed and well-intentioned advice, so their business declined drastically. Eventually, several times last year, the group was 'on stop' with major publishers that is, the publishers refused to supply books to them because the group was in breach of its credit limits and trading terms. "The supermarket model that REDgroup had adopted was a grotesque failure." On TV this morning an American structural engineer on the ground who was at the World Trade Center said that unreinforced brick and masonry buildings from 1880s to the 1930s are vulnerable to quakes and it is no surprise what happened to the many such buildings in Christchurch and surrounds on Tuesday with the severe lateral movement. Of surprise, however, was damage to a few modern buildings like the collapsed CTV building and the 26 story Hotel Grand Chancellor, which is in danger of collapse. He said the collapse of the WTC created a 2.2 magnitude earthquake in the area, which is minor, but the Grand Chancellor building would destroy neighbouring buildings in a radius about that of its present height. 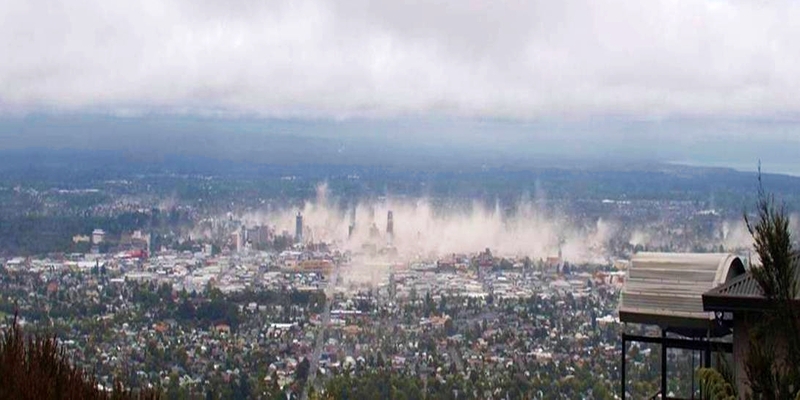 An article on the Scientific American site about Tuesday's quake. "A coal train derailed in the Christchurch suburb of Heathcote with seven wagons affected, but remained up. The train driver reported cracks in the Martindale Bridge, so the police could stop traffic. KiwiRail chief executive Jim Quinn said track inspections had begun. 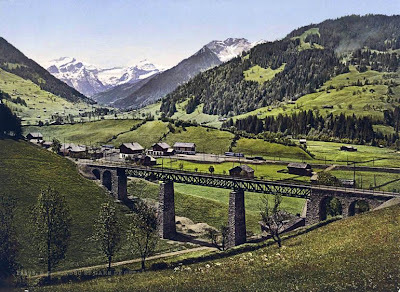 - A slip on the city side of the Lyttelton Tunnel." 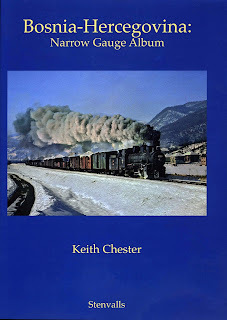 A follow-up pictorial volume to the author's previous book from 2006 which was a detailed history of Bosnian 760 mm narrow gauge railways in the rugged scenic country, which last ran in 1979, this hardcover book contains 750 illustrations (160 in colour) taken between 1885 and 2010. 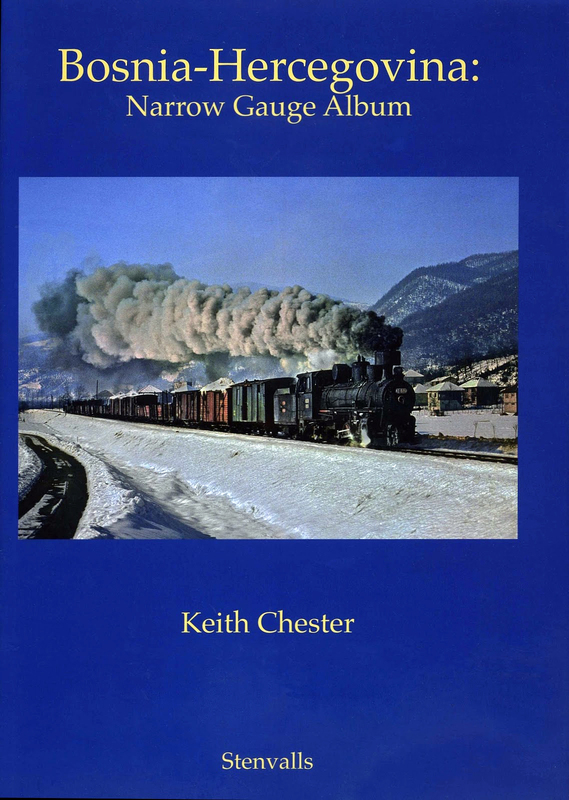 This present volume includes much material on Bosnia-Hercegovina’s narrow gauge railways which has only recently come to light, as well as details on locomotives in the forestry and mining industries whose existence in Bosnia-Hercegovina was previously unknown. There is much of interest here for the historian and modeller alike: 320 pages in A4 format, available in our shop. Again we are all fine, all systems are running and there have been no outages. The servers are housed in a very secure building with many lines of redundancy. The one issue we noticed this morning is that the backup drive system did not mount so we are running backups now and will manually copy them to the dev server in the office. The new office is also fine, I am very pleased that we are here and not in the Arts Centre which will have been hit and is now totally cordoned off. 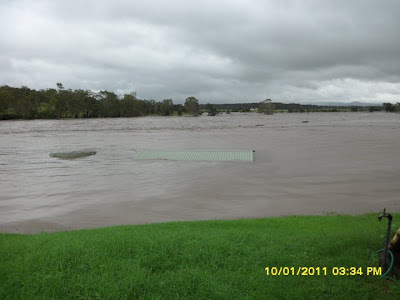 So far I have not been able to make it home but am heading there now to assess any damage and to start the clean up. We will be keeping an eye on systems to make sure that everything continues to run smoothly but there may be some delays in answering emails and phone calls. 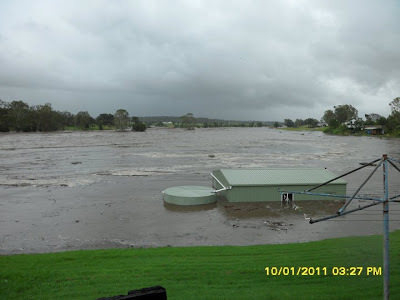 Just had news that the backup drives were shut down while running on generators so all previous backups are also safe. We have commented before in a post on the different categories of book reviewers to the effect that the bad reviewers shouldn't be treated too seriously. But there are some who overstep the line in what they say about the author, the publisher or both. In a little more than a week, a court in Paris will decide whether a law professor in New York committed criminal libel by publishing a book review. No author enjoys a negative review. But most writers limit themselves to a predictable set of responses on reading a cutting evaluation of their work, usually in this order: incredulity, embarrassment, self-loathing, stewing, grumbling, anger, scheming and letter to the editor. Karin N. Calvo-Goller, a senior lecturer at the Academic Center of Law and Business in Israel and the author of “The Trial Proceedings of the International Criminal Court,” was more creative. She lodged a criminal complaint in a country with almost no connection to the book or the review. You are by now probably curious about what the review could possibly have said. It was four paragraphs long and published in 2007 on Global Law Books, a Web site associated with The European Journal of International Law. It was sober, technical and mild. Indeed, it would not be hard to find a more caustic review on any given Sunday in this newspaper. The reviewer, Thomas Weigend, a law professor at the University of Cologne, adopted a measured and patiently condescending tone. He said the book “meticulously covers all relevant topics,” and he praised its occasional “analytical nuggets.” But he faulted the book for “rehashing the existing legal set-up” and questioned Ms. Calvo-Goller’s “conceptual grasp” of some matters. Ms. Calvo-Goller responded by demanding that the review be deleted. Professor Weiler refused to remove the review but offered Ms. Calvo-Goller a chance to respond. Instead, she filed a criminal complaint in Paris against both Professor Weigend, who wrote the review, and Professor Weiler, who published it. France is an odd place to adjudicate a claim concerning a review written in English by a German professor of a book written in English by an author living in Israel. 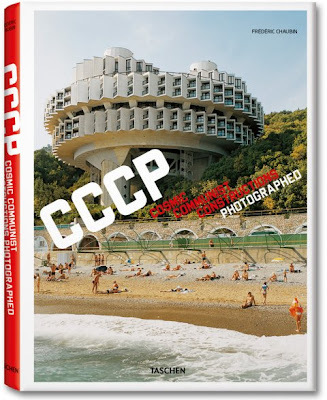 The book was, moreover, published by a Dutch firm. The review was published on a Web site in New York. True, Ms. Calvo-Goller is a French citizen. But still. The trial took place in January before three judges in the Tribunal de Grande Instance de Paris. Professor Weigend did not appear. But Professor Weiler said he had not considered boycotting the proceedings. Professor Weiler specializes in comparative constitutional law, and he approached the proceedings with an open mind. He said he was not quick to find fault with the French conception of defamation, which views attacks on honor as a form of assault. He added that the trial was conducted with impeccable fairness and care. “I walked away very respectful of it,” he said. Professor Weiler did allow that it was a little much to bring the criminal law into it. Should he lose, he faces a substantial fine and a stigma that could make obtaining visas and the like problematic. The French court will announce its verdict on March 3. It could merely say that the court lacked jurisdiction over a matter with so few connections to France, but Professor Weiler hopes it will say more and affirm the value of academic debate. Last year, Congress enacted a law meant to protect people subjected to libel suits in countries without the United States’ commitment to free speech. While the law makes it hard for plaintiffs to collect foreign libel judgments, it can do nothing to expunge a criminal conviction abroad. So may the prosecution she started. 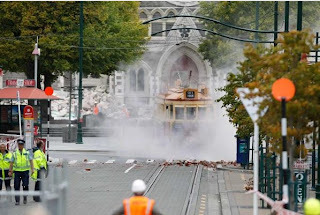 Ironically just after the last post regarding our software provider in Christchurch we learned that the city had been smashed up again by a worse earthquake than that of last September. Buildings which survived the September quake have succumbed this time and they unfortunately include some of the city's icon buildings. 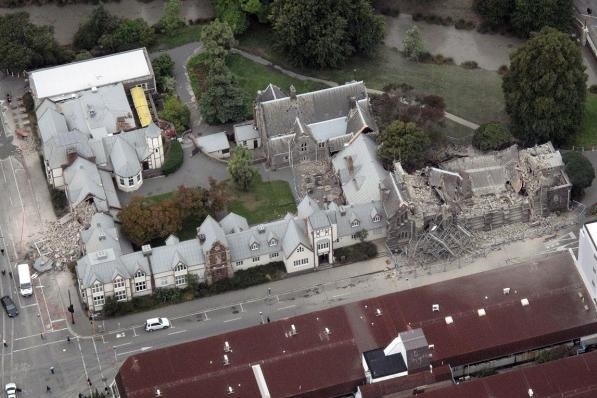 In the historic port town of Lyttelton, near the epicentre of the quake, damage is even worse. 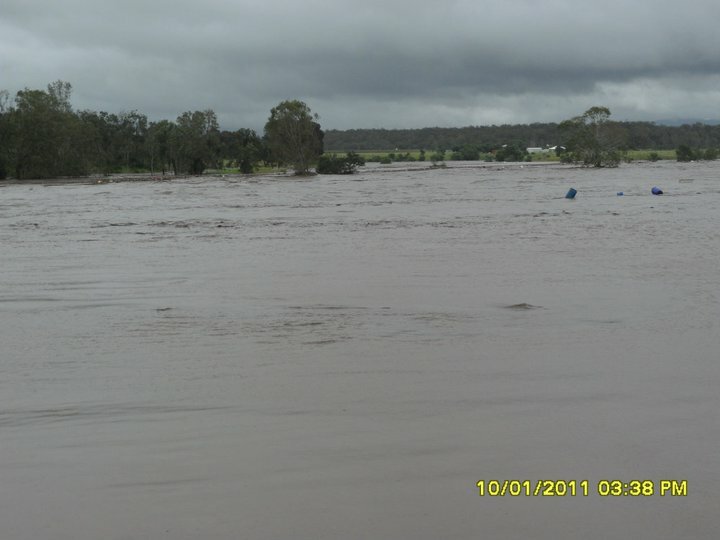 Worst of all there have been fatalities this time - 65 at the time of writing and that figure will rise. It is the last thing that Christchurch needed and apart from the physical damage the psychological damage will be severe as well. 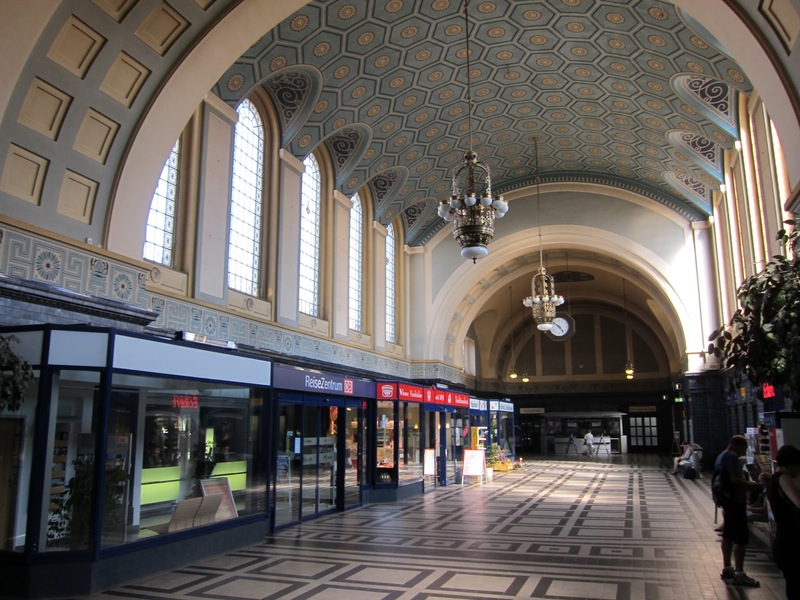 But just as German and other European cities rose again Phoenix-like after the destruction of WW2, Christchurch will too. Below is the latest e-mail from Warwick of Circle Software, promising no more glitches. Like you our customers, we have been very frustrated about the "major fails" to put it mildly! Once it is running smoothly again, it should be good. Watch this space. We have just moved into our new offices and so are now 100% back in action after moving out of the last one following the earthquake and renovating and fitting out this one. It is nice to all be in one place again after working remotely for the last 5 months. Over the last two weeks we have been focusing on bug fixing and are just finishing this now. Unless there are any other major fails we will be pushing this code to beta tomorrow and if no new issues show up on beta will be pushing to stable at the end of the week. Following this push the focus will be on the new till. This has been held up due to web browsers not being able to store enough products so we have written our own storage system and are working on attaching it now. We would like to have it out for testing by the end of the month but will see how we go. 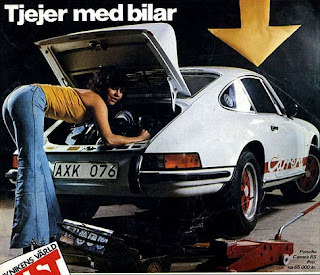 An advertisement for a Porsche Carrera RS for Sweden in a workshop setting, the girl is working on the engine. The price of 65,000 Swedish Kronor coverts to $US 10,100 without adjustment for inflation - wouldn't it be nice to be able to get a new one at that price now! 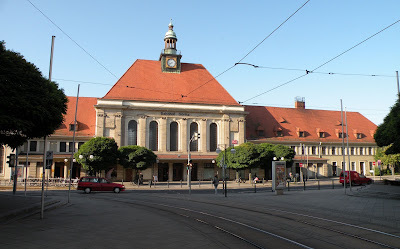 The Bahnhof Görlitz - or Görlitz train station - from 1847 designed in what is known in German as Jugendstil or roughly what in English is called baroque, is one of many nice old buildings in that town. The first two photos show the interior of hall of the Emfangsgebäude or reception building, the third a view of it from the platform level, and the fourth from the street (opposite direction). 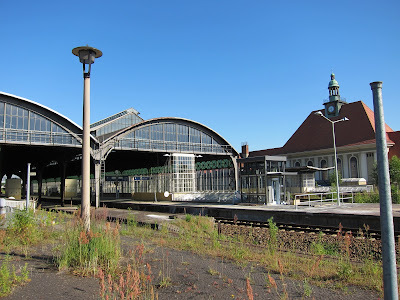 It is located about 500 metres west of the Neisse River which since 1945 has formed the border between Germany and Poland. Photos by Geoff Churchman (first three) and Paweł Jakubczyk (fourth). 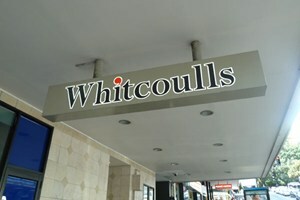 While Borders is clearly toast, the nation-wide variety store nature of Whitcoulls offers a glimmer of hope that it might be able to be sold as a going concern. The problem, of course, is that the potential buyers are pretty much limited to its main competitors, The Warehouse and Paper Plus - and the latter's totally franchised nature means its fundraising ability from members is quite limited. Yesterday the National Distribution Union (NDU) met with the administrators for REDgroup, Ferrier Hodgson, who have taken over its businesses in New Zealand, Australia and Singapore. NDU general secretary Robert Reid said the administrators outlined the chain of events leading up to, and following, their appointment last Thursday. "They told us their statutory goal is to achieve the maximum return for all creditors and to save jobs where possible." Mr Reid said union representatives had been invited to attend a creditors' meeting next Monday. Another creditors' meeting had to be held within 25 days, at which the administrators would give an indication of the options being considered. "In the meantime, they have to ascertain what the best way forward is and, in the hierarchy of options, probably a sale process is what they are working on," he said. The administrators had to work for the interests of the creditors, and not the original company, Mr Reid said. It was essentially business as usual for employees until the second creditors' meeting. 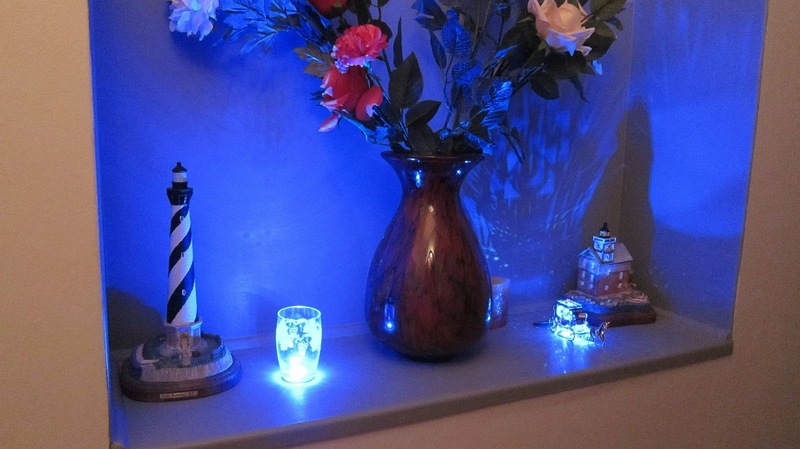 We posted a pic of the freestanding LED uplight base in our Kapiti property a few months ago, so here is a pic of an alcove in our Wellington city property showing installed blue LED uplights used to illuminate crystal ornaments, in this case a little vase and a horse and stagecoach. The large lighthouse model on the left is Cape Hattaras, the tallest lighthouse in the USA, and the one on the right is Cedar Point, Maryland. Those who have read our posts on this subject since 2009 shouldn't be surprised at the turn of events announced officially last Thursday. * ignoring locally published titles except those by or about "big names"
Graham Beattie also has this piece on his blog. Publicity photos of the time of the hardtop and cabriolet (convertible) versions. Launched in 1959, the Floride was a car with instant appeal. Its attractive body colours and pure, flowing lines, designed by Italy’s Ghia and Frua, gave it a sophisticated look. It was driven by a number of stars of the day. At the end of the 1950s, France was prosperous and enjoying life once more. 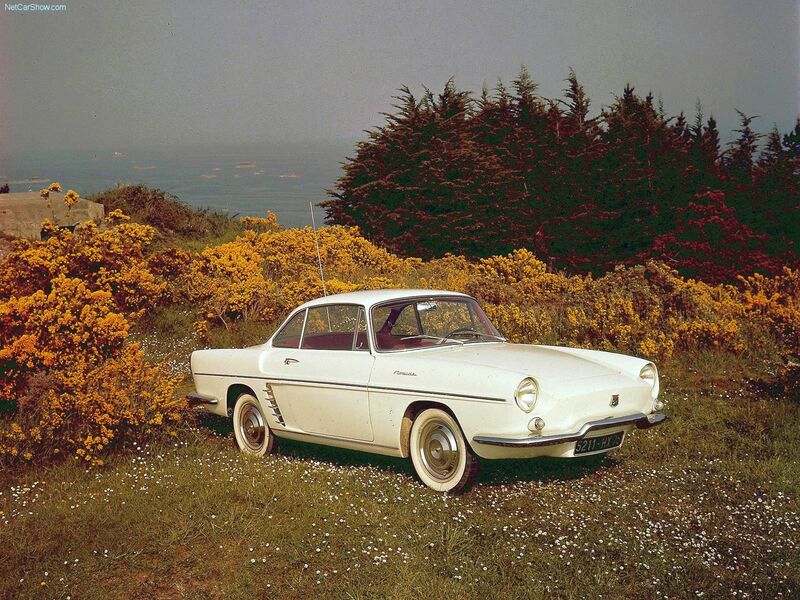 Originally presented as the ”Dauphine GT” at the Geneva Motor Show in 1958, the Floride took on its definitive form on the Renault stand in Paris in October of the same year. It was a car that truly embodied this gay, carefree era. The Floride also had a “fairy godmother” in Brigitte Bardot. 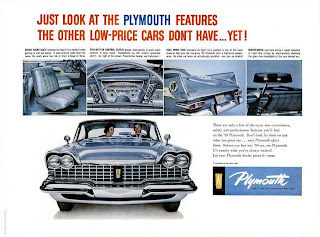 “The wind in your hair, the sun on your face and a bright smile when you head for the sunshine and open air... Get away from it all with a young, sparkling, sophisticated car...” The lighthearted tone of this advert underlined the carefree mood of the 1960s, the heyday of the Floride. 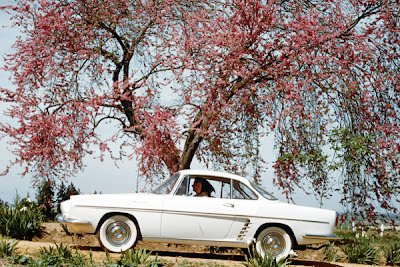 In 1959, elegance was embodied by flowing lines, bright colors, and American cigarettes. Particular attention was paid to the bodywork. A Floride badge decorated the front wing. A long side molding emphasized the waist line. "White sidewall" tires, an ultimate touch of sophistication, were available as an option, and the first models could be recognized by the air intakes on the rear wheel arches. The Floride's colors were part of its style and extravagance. In shimmering or pastel shades, red, light yellow or pale blue, they expressed summer days and joy of living. It's no surprise that all the stars of the time wanted to be seen at the wheel of a Floride! 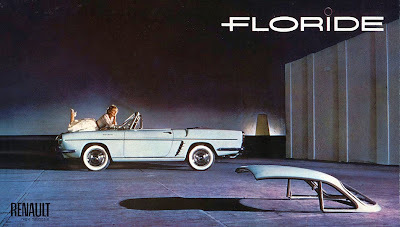 Between 1959 and 1966, the Floride was launched in three versions: coupé, cabriolet and convertible (cabriolet with a hard top). 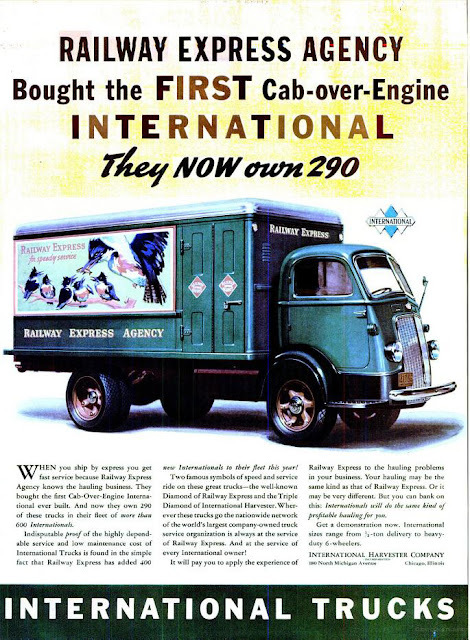 Continuous improvements were made to the vehicles. The last models were given a new name: the Caravelle. The original Floride was fitted with an 845 cc engine. From 1962, the new Floride S gained a more powerful 956 cc unit and adopte disc brakes on all four wheels, a first for a car in this category. The body design also changed. The coupé version gained a longer roof and a straighter rear window, thus increasing interior space. This made it possible to accommodate two adults in comfort at the rear. This modification to the bodywork was a major success, since it did not spoil the balance of the original design! In 1963, the Floride was replaced by its twin sister, the Caravelle, also available in coupé and cabriolet versions, and which continued its career until 1968. The Floride was also a remarkable commercial success. For some versions, sales were equal to 10% of those for the popular and less luxurious Dauphine. But the success of the Floride is measured first and foremost in drivers' memories! 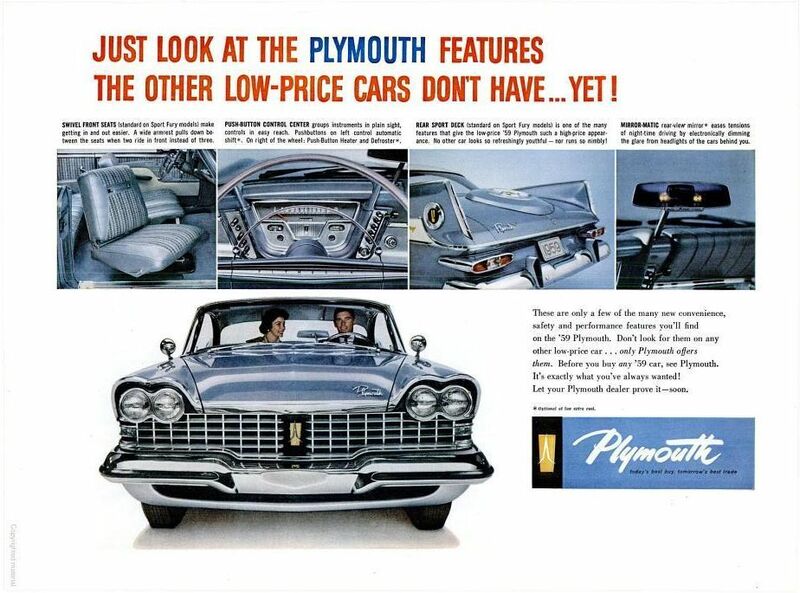 Even today, at motor shows, it is not unusual to hear "What a great-looking car it was!". 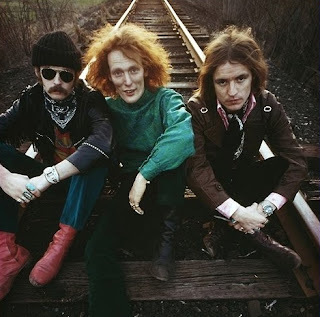 The post on Cream reminded of the first track on their first LP in 1966, "NSU". This wasn't a reference to the STD but to the German car marque, founded in Neckarsulm, which NSU is a contraction of. The only time I'm happy's when I play my guitar." The Prinz model shown in the pic was manufactured in different versions through the 1960s; the Prinz 4 was a 2-door saloon made 1961 to 1973 and featured a 598 cc straight OHV rear mounted air-cooled engine. NSU was taken over by VW in 1969 and then merged into the Auto Union group, nowadays the Audi marque is its only one. 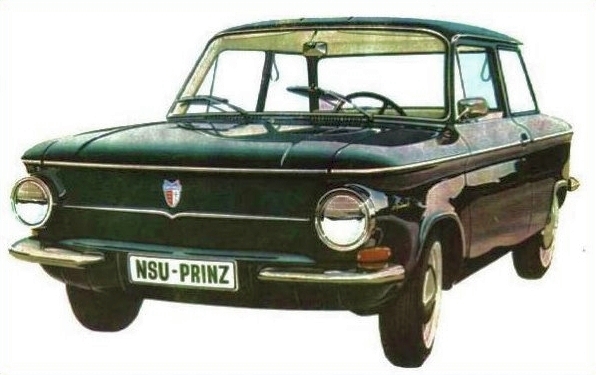 The NSU name had been phased out by 1977. 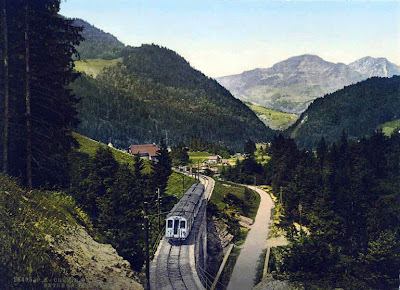 One of the several great scenic railways in Switzerland, the Montreux Oberland Bernois or MOB is a 62.4 km metre gauge line from Montreux to Zweisimmen (plus a 12.9 km branch line from Zweisimmen to Lenk) electrified in 850 V DC and at the Montreux end features some impressively steep adhesion-only gradients (without the use of a rack and pinion third rail) and sharp curves. 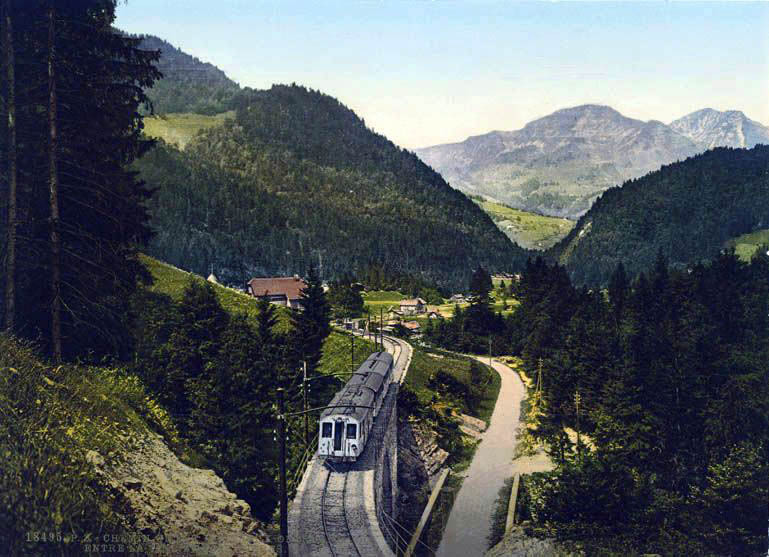 It was opened in stages in the 1900s with the complete line finished in July 1905 (the branch to Lenk in 1912). 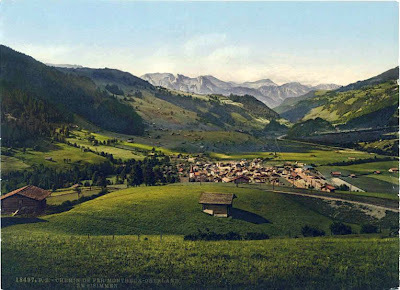 Three old views, Zweisimmen, Gstaad, "La Tine and Rissonieres", and a pic taken in 1980. 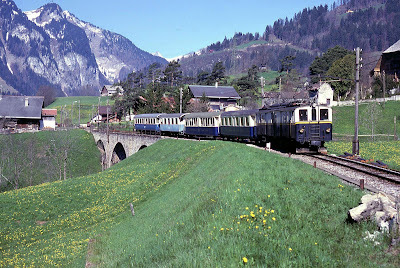 The rolling stock has, of course, been modernised since then. 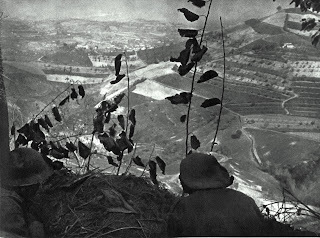 A scene at Monte Della Crescia, Italy, on 17 July 1944. For details see the new book Seeds in the Storm, due next month. 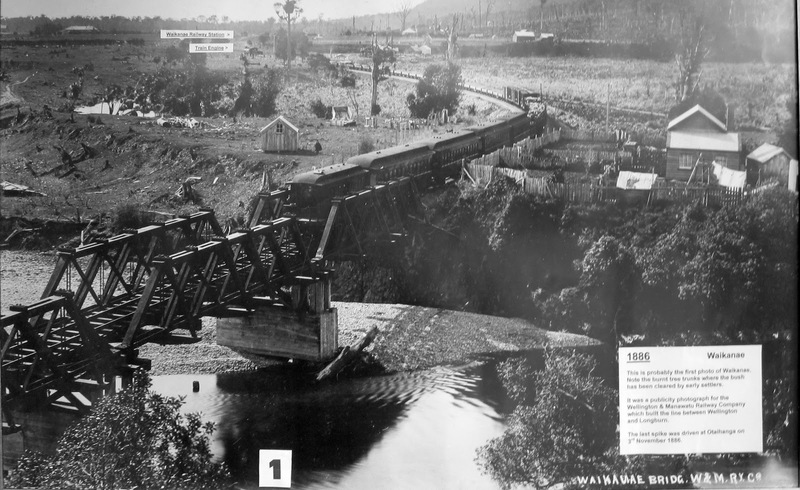 A photo on display in the Waikanae museum taken after the Wellington and Manawatu Railway had been opened in November 1886. 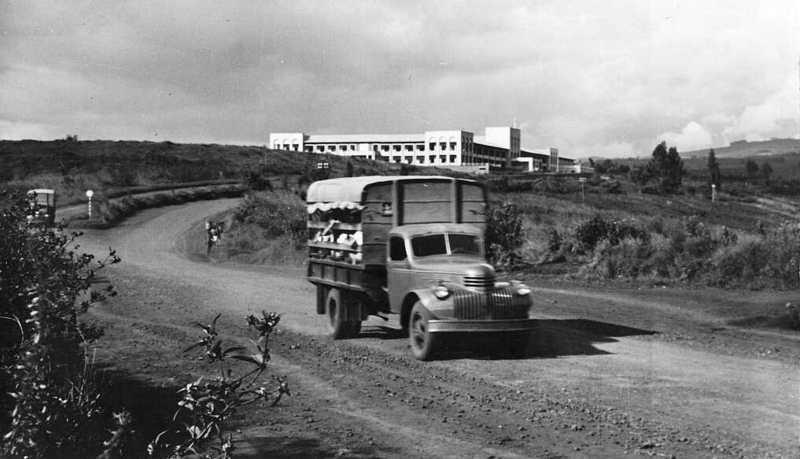 There was no State Highway in those days. 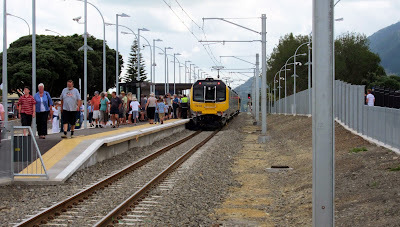 At yesterday's opening ceremony for the electrification to Waikanae, the local MP, Nathan Guy, a great grandson of the Chairman of that railway, produced a silver spike which he said was a replica of the spike used to mark the opening of the W&MR at Otaihanga, and which was then hammered into a sample section of track on the platform. Otaihanga is only a short distance south of Waikanae, and where the large Southward car museum is now. 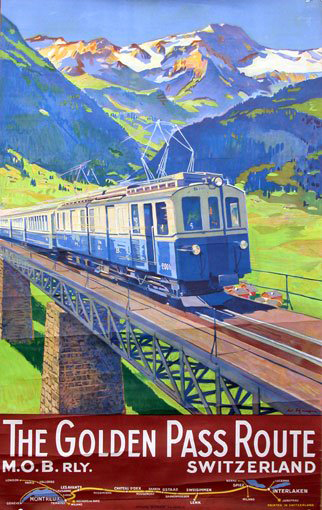 For more information on this and other New Zealand railways, see our books. Many of those attending yesterday's opening ceremony at Waikanae were hostile to Steven Joyce's pro-road, anti-rail attitudes and made him very aware of that. The mayor of the Kapiti Coast, Jenny Rowan, also showed it by omitting mention of him in her list of the VIPs attending. 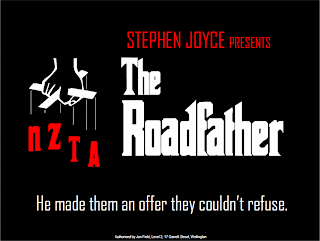 In particular, Waikanae residents who live nearer the beach are very unhappy about Joyce's plans to turn a planned bypass road for Waikanae locals to Paraparaumu, the Western Link Road - so they don't have to drive along State Highway 1 to get there - into a 4 lane expressway for SH1. Joyce claims that the expressway is needed to relieve congestion on SH1 - he seems to ignore the fact that much of the congestion on SH1 - for example a logging truck every couple of minutes most days of the week - is and will be a result of his desire to move as much freight traffic as he can off the rails and on to the roads. Talked about for years and finally approved in 2005 by the former Labour government, yesterday saw the opening ceremony at the new Waikanae railway station for the extension of the electric catenary 8 km from Paraparaumu, meaning that Waikanae residents can now catch the electric commuter trains all the way from there to Wellington (58 km) instead of having to change to a train at Paraparaumu. Two of the new Korean built Matangi electric multiple units were there, but they are not planned to be in regular use on the line until July; in the meantime refurbished Hungarian Ganz Mavag units from the early 1980s will be the normal vehicles. Accompanying the short extension has been a much more extensive programme including track duplication for nearly 15 km from MacKays Crossing north of Paekakariki to the Waikanae River bridges, upgrades to signalling along the whole line and refurbished platforms level with the doors of the new units. 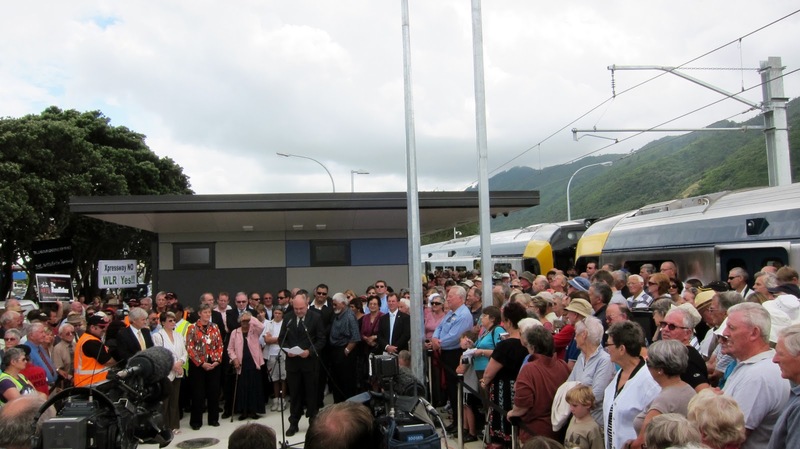 Wellington Regional Council chairer Fran Wilde said that all this including the new trains has cost $600 million. A WW2 American Chevrolet army truck circa 1942 now being used for civilian purposes. 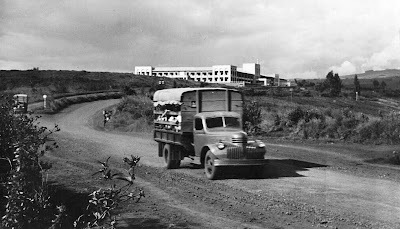 Photo from 1948, location not recorded. A publicity photo for 1960s British supergroup Cream - Eric Clapton (guitar, vocals), Ginger Baker (drums) and Jack Bruce (bass, vocals). We like the setting. centenary of Rolls Royce's "flying lady"